The banner event of the Retired Racehorse Project, the Thoroughbred Makeover, announced trainer acceptances today! 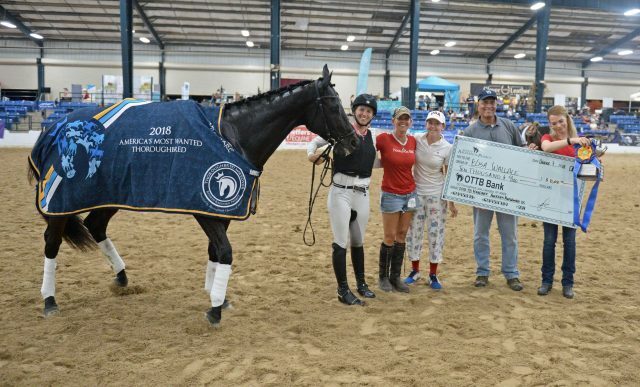 The Retired Racehorse Project announced trainer acceptances earlier today for the 2019 Thoroughbred Makeover and Symposium, presented by Thoroughbred Charities of America. Becoming an increasingly-popular event for off-track Thoroughbred lovers and often a gateway goal for first-time OTTB owners, the Makeover is in its fifth year in its current format and location. A total of 673 trainers and teams were accepted to compete October 2-5, 2019 at the Kentucky Horse Park.